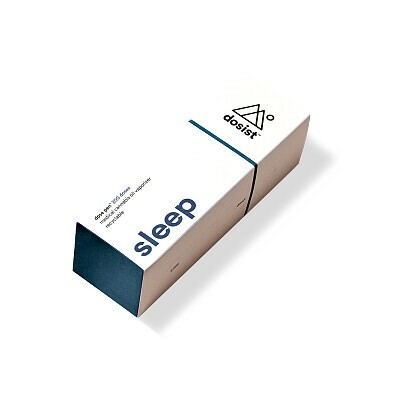 sleep by dosist™ is a THC-focused formula supported by CBD in a ratio of 8:1 THC to CBD, bolstered with key terpenes such as nerolidol and myrcene. Our sleep formula is designed to target a broad range of potential sleep disruptors while providing the ability for most users to fall and stay asleep. Over 50 doses of sleep by dosist™ come in a preloaded dose pen by dosist™, a recyclable vaporizing device designed exclusively for dosist's formulas and featuring precise dosage delivery (2.25 mg per dose), airflow control, and superior heating technology. dosist ’s formulas are 88% cannabinoids and 12% terpenes —THEY CONTAIN NO ADDITIVES OR FILLERS.